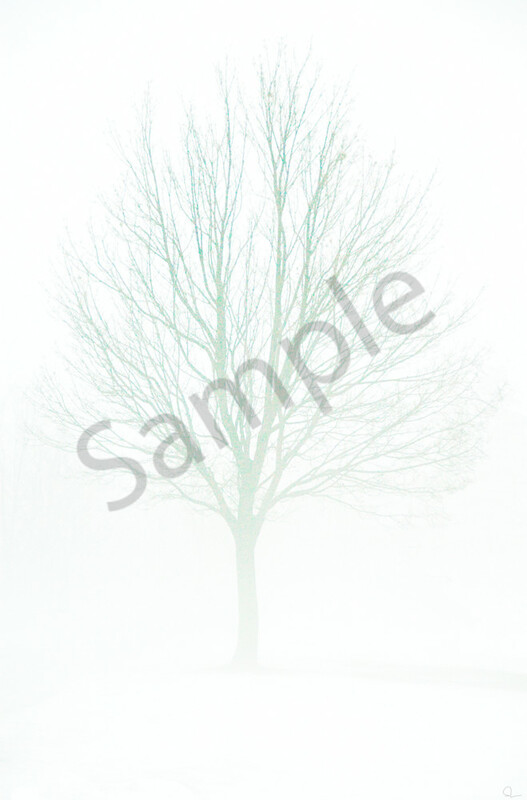 A very subtle photograph of a solemn tree in winter. This photograph is the second of the series of trees taken by Michael with this technique. The cameradrws out colours in the tree making it very prominent against the very stark white background.